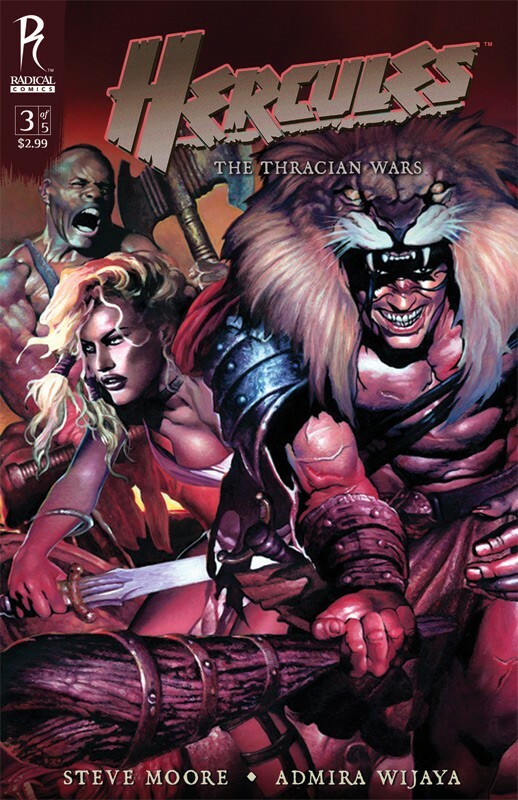 In Bronze Age Thrace: The tyrannical King Cotys is determined to unite the quarrelsome tribes of Thrace into a single, belligerent nation. Cotys hires the legendary Hercules and his fellow mercenaries to mould his troops into an invincible army. With their training complete, Hercules leads Cotys’ army into a bloody war of attrition against Rhesus, his last standing foe. Just as victory seems secure, it appears that treachery is afoot, and the potential consequences are dire… particularly for Hercules and his friends.